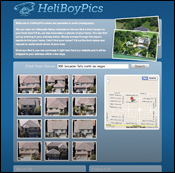 HeliBoyPics uses the latest photography equipment and software to provide you with the highest quality aerial pictures available. They fly Robinson R-22 helicopters that allow them to get to any area and take spectacular birds-eye view pictures of your home and property. 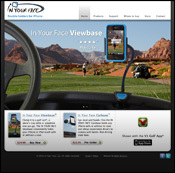 In Your Face is a start-up company founded in July 2008 by husband and wife team Hans and Marion Kohte. Initially the idea of a hands-free iPhone holder was born to remedy a pair of sore arms after watching a two hour movie in the passenger seat during a 12 hour car trip. 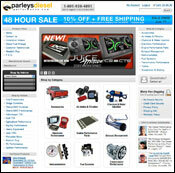 Parleys Diesel Performance carries a huge array of diesel performance products. 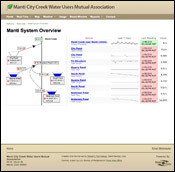 The Manti Irrigation and Reservoir Company operates a network of solar powered monitoring sites. 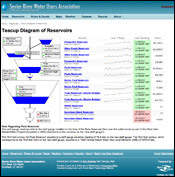 These sites measure and report canal and river flows, reservoir elevations, weather conditions and other real-time information needed to operate a water storage and distribution system. 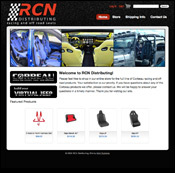 RCN Distributing sells racing seats and accessories through a secure e-commerce site. The Sevier River Water Users Association in central Utah operates a network of hundreds of solar powered monitoring sites. Easy Storage Solutions helps storage unit business owners create and customize their own website. This new site allows their customers to book units, manage their account, and make payments online 24 hours a day, 7 days a week. Mike Benton, owner of Show My Garden, has worked in the landscaping industry for many years. 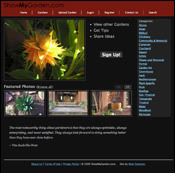 His vision of a website dedicated to showing off such work is accomplished in ShowMyGarden.com. His website provides an opportunity for each and every one of us in the gardening culture to share our garden autobiographies. Southern Utah Insurance provides individuals, small and large businesses, and families protection from potential financial losses. Regardless of the specific insurance requirements, Southern Utah Insurance offers products to satisfy individual and business insurance needs. 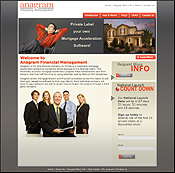 Anagram is the first financial company to introduce a resaleable mortgage acceleration product to companies doing business in the financial realm. Their application features real time data calculations and manages users, admin sections, themes, portals, and more. 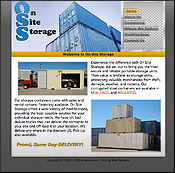 On Site Storage offers custom mobile storage containers for rent or purchase. They have been serving Utah, Wyoming, Colorado, Nevada, Arizona and California since 1998. They have a large inventory with wide selection and offer prompt same day delivery subject to conditions. All of their containers are inspected to ensure quality. 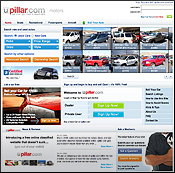 Upillar features free online classifieds, allowing users to buy and sell vehicles for free. Their website features a fully functional auto trading solution with a user-friendly, non-cluttered, navigable interface. Buying or selling autos has never been so easy. Celebrity Concert Series is a community sponsored performing arts venue at Dixie State College. Their mission is to instill enthusiasm and appreciation for the performing arts by presenting a quality multi-discipline performing art series. We convey our enthusiasm for artistic quality and promote performing artists of excellence. Dr. Berger has spent 4 years formal training in a dermatology residency studying skin, hair and nails. This training focuses on diagnosis, surgery and treatment of skin cancers and diseases, as well as the aesthetic side of skin rejuvenation, maintenance, and healing. 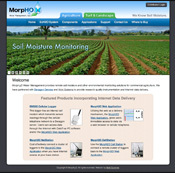 Morph20's mission is to provide affordable, durable, and accurate instrumentation for commercial and industrial markets to aid in irrigation scheduling, water conservation and environmental monitoring. Teensy Toons carries a unique catalog of cards and gifts for pet owners. The Owner, a 20-year veteran artist of advertising agencies as well as a former designer for The Wall Street Journal interpret the silly antics as fodder for each new illustration. Moki Systems, based in Saint George Utah, offers full-service web site development for Southern Utah and Southern Nevada. We develop web sites from small informational sites to large scale custom web applications. We specialize in online stores, custom web programming, and corporate websites. Our Services include Web Design and Development, Database Development, Website Consulting, Search Engine Optimization, E-commerce Solutions, Graphic Design, and Print Design. Please see our Services for an overview of the services Moki Systems provides. 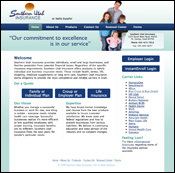 Our work has ranged from simple 3-page brochure style web sites to large and complex database driven web applications. Moki Systems works primarily in the Southwestern U.S.
Visit Our Work to see some of Moki Systems’ past and present clients. For a free custom web programming quote, please call us at 435-674-3571 or contact us online.